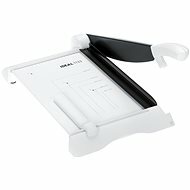 Paper cutters are useful in the home or office. 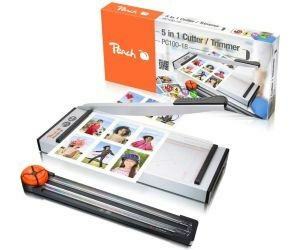 They allow you to conveniently and safely cut photos, documents, cards, laminated sheets and other materials into the desired size. Here you will learn more about lever, rotary and hand cutters. What are their advantages and disadvantages and how do they differ? Lever cutters cut with a very sharp, integrated blade. 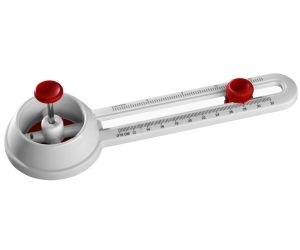 The tool base has both a metric and imperial scale and guide lines for cutting different formats. Lever cutters are also usually equipped with a pressure bar and a protective cover to ensure safe and high quality cuts. They enable safe cutting and good stability. 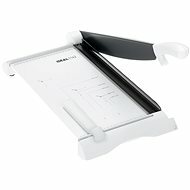 Cutting capacity up to 10 sheets of paper. 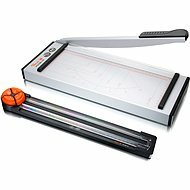 Scale and markers for more precise cutting. 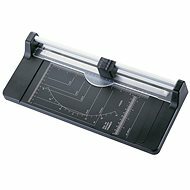 Rotary paper cutters have much more practical dimensions and are light-weight. Some models allow multiple types of cuts. 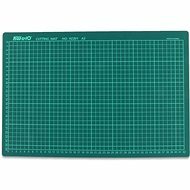 In addition to the classic straight cut, a wavy, double or perforated cut can also be achieved. Rotary cutters, also called roller cutters, are designed for cuts with a maximum length of 320mm. 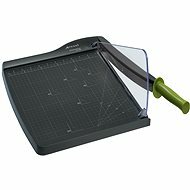 For multiple types of cut. 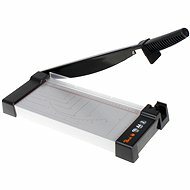 Cutting capacity of only 5 sheets of paper. Not suitable for cutting harder materials. 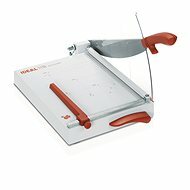 There are also hand cutters with ergonomic handles suitable for right and left-handers. 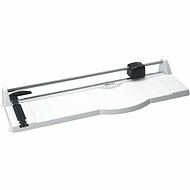 When choosing a cutter, think about what you'll be cutting and how much. Then you will know the capacity and length of cut that your cutter should handle. This specifies the maximum number of papers the cutter can handle at one time. 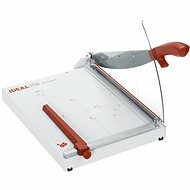 With a rotary cutter, you can process a larger amount of paper than with a rotary. 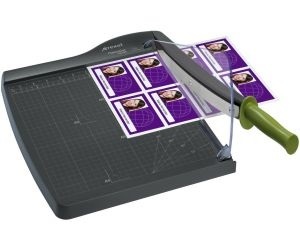 The cut length value indicates the maximum possible paper width for the cutter. While cutting material with a width of up to 460mm is ok with a lever cutter, a rotary cutter allows for materials with a maximum width of 320mm. Some cutters have a self-sharpening blade that makes them maintenance-free. 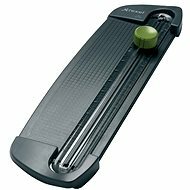 The blade sharpens itself on the metal edge of the cutting pad while cutting paper.